Butler and Xavier could have made it an incredible tournament for the Big East, but this is still a strong one for the conference. 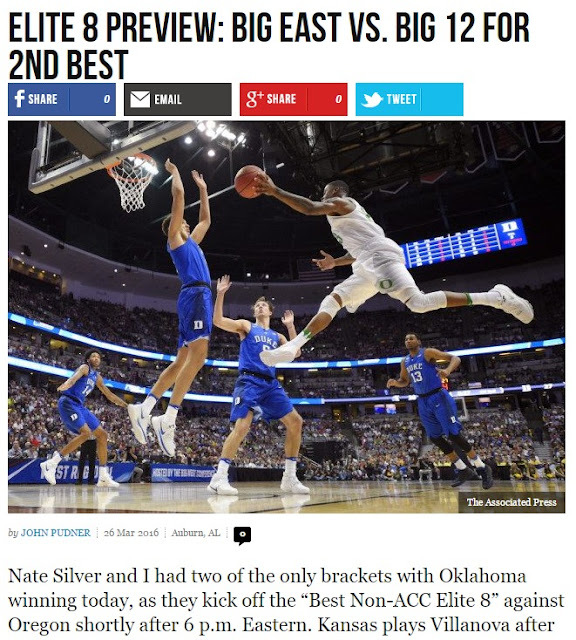 As I just posted on Breitbart, the Big East is one of only three conferences with a winning record even if Nova loses tonight. 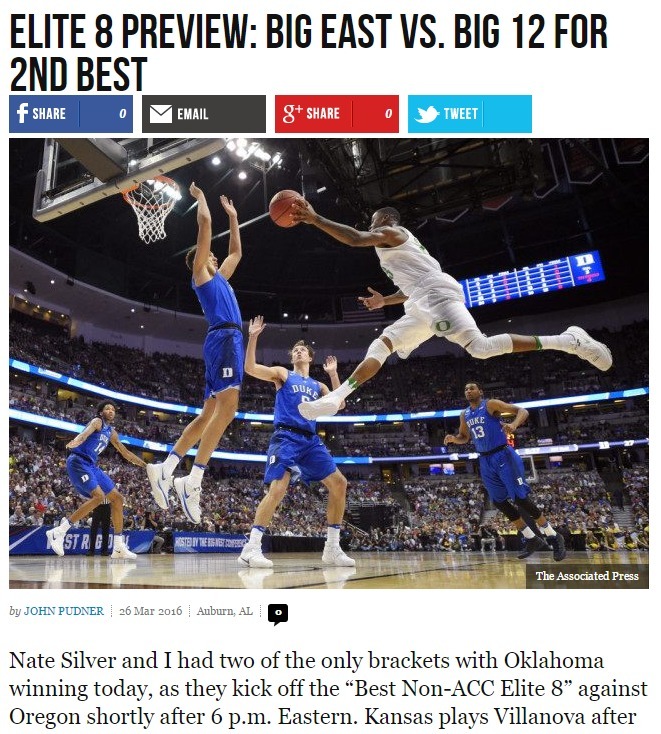 When you look at the disappointments of the first two tournaments of the new Big East, this may be the breakthrough year. If we have a few upsets, there could even be a reunion of the old Big East in the Final Four with Nova, Notre Dame and Syracuse winning. 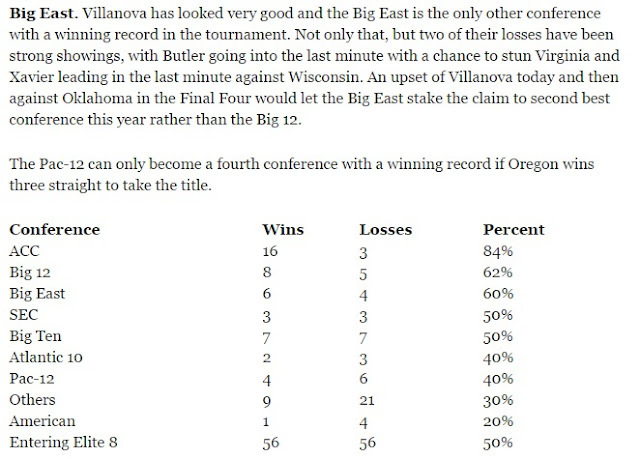 Pomeroy gives Nova a slightly better than 50-50 chance, but only a 2% chance of all three of those winning.